Samsung announced a few days ago its upcoming Galaxy S 4 will be equipped with its own Exynos 5 Octa chipset, which has been confirmed to feature two quad-core processors. However, the South Korean company also stated the Galaxy S 4 will use a different Qualcomm chipset in some markets like United States and Canada. Obviously, everyone though the smartphone will be equipped with the Snapdragon 600 chipset, but some were hoping the Galaxy S 4 would be shipped with a much better Snapdragon 800 CPU. Today, Tim McDonough, Vice President, Marketing, Qualcomm Mobile & Computing, announced to the world the next-generation Galaxy S smartphone will use the company's Snapdragon 600 chipset. “It appears Samsung has done it again. They just launched the Galaxy S 4 , the latest in the very successful Galaxy S line of smartphones. 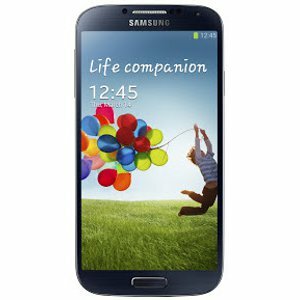 The Galaxy S 4 is packed with cool new features that promise to deliver innovative smartphone experiences to its users. In the same piece of news, Qualcomm's Snapdragon 600 chipset will be integrated in the upcoming HTC One and LG Optimus G Pro smartphones as well. Which one will you choose?